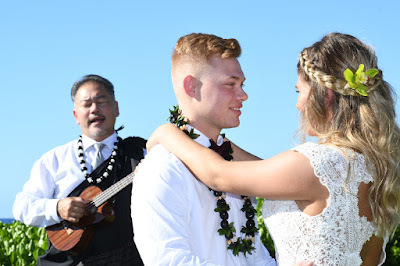 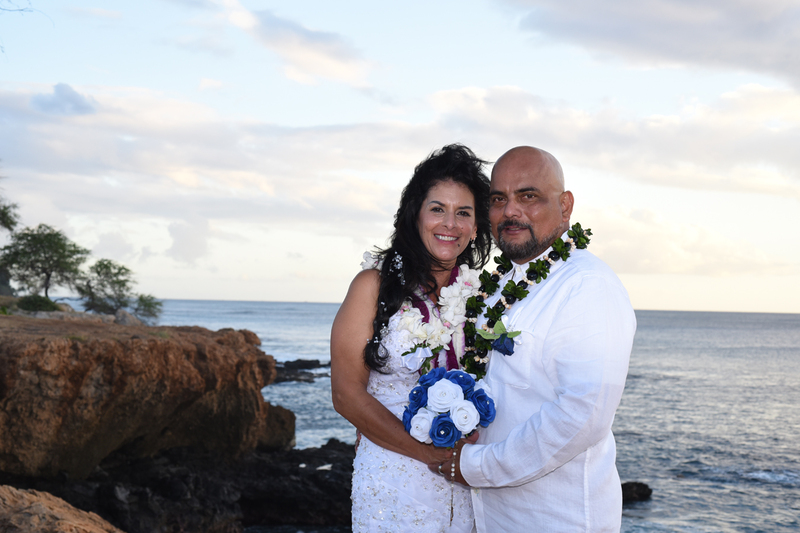 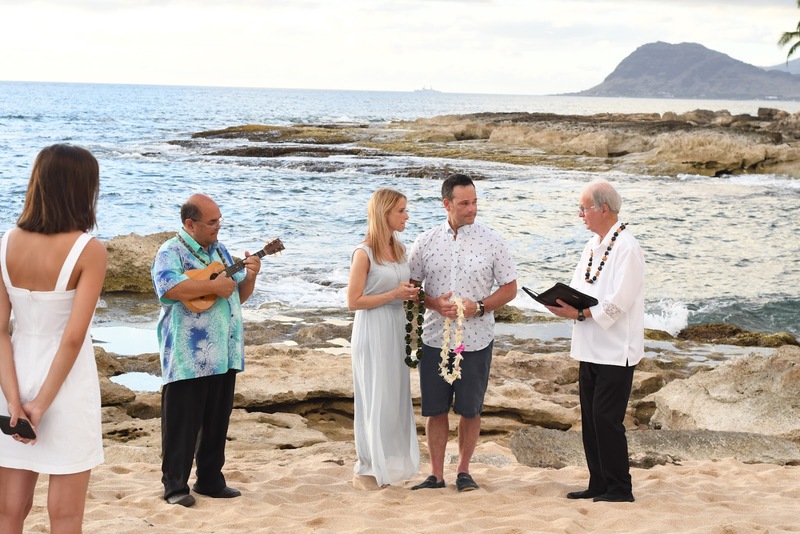 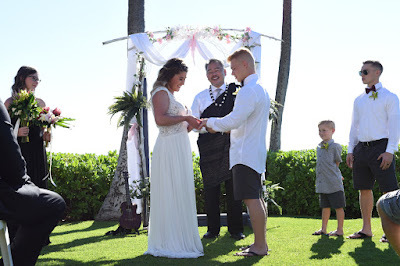 Dino surprises his wife with a Ko Olina Vow Renewal. 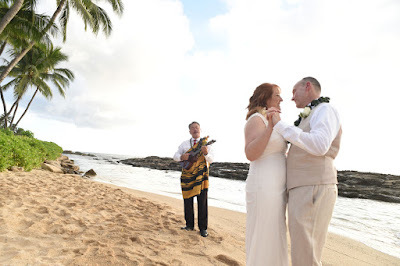 One of the finest Musicians on Oahu, Ha'a is playing Ukulele. 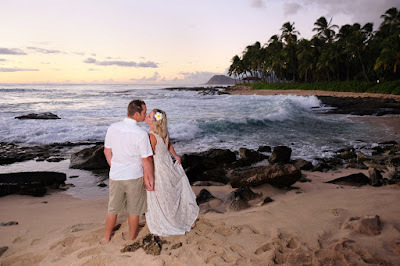 Beautiful wedding photography by Oahu Photographer Robert Hamilton. 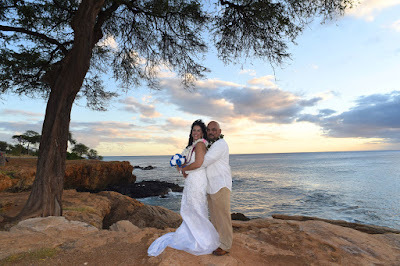 Wedding venue at Paradise Cove, The Point. 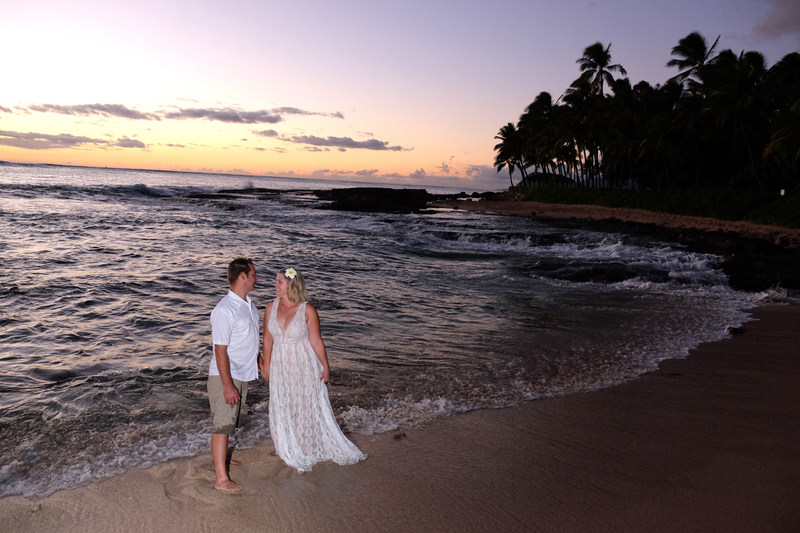 Four Seasons Resort visible in the background behind Paradise Cove Beach. 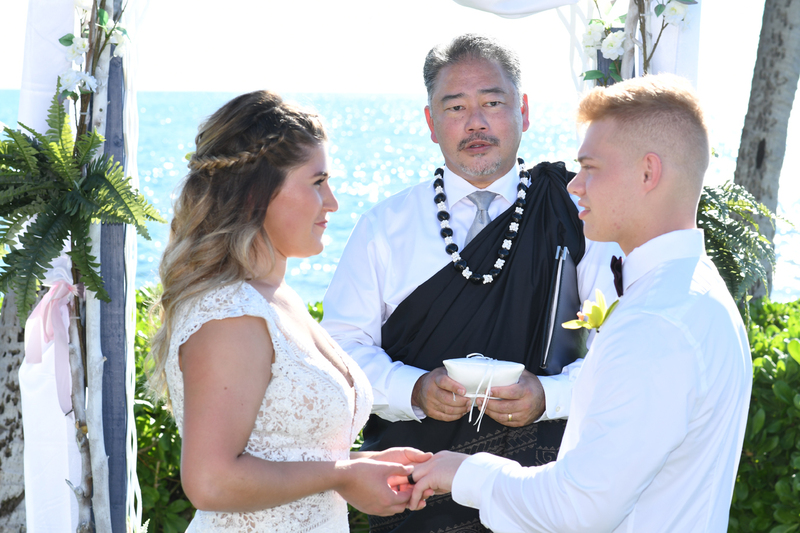 Pastor John officiates wedding ceremony at Paradise Cove, Ko Olina for Austin and Delaney. 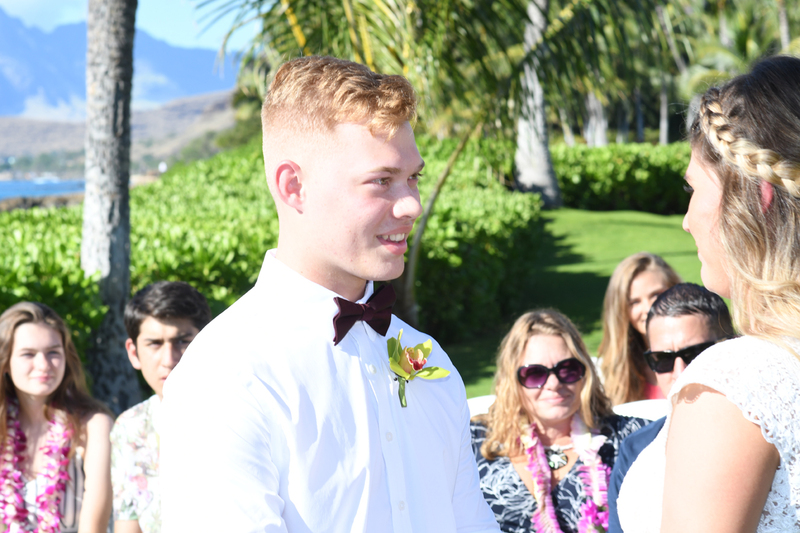 Bride puts on the Groom's wedding ring. 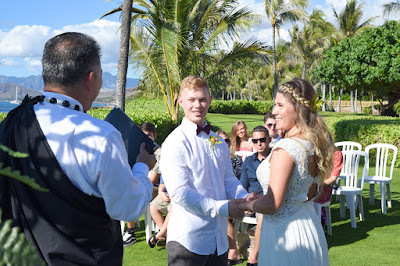 Traditional ring exchange. Wedding couple brings their own bamboo arch. Minister blows the conch shell as Bride & Groom seal their marriage with a kiss. 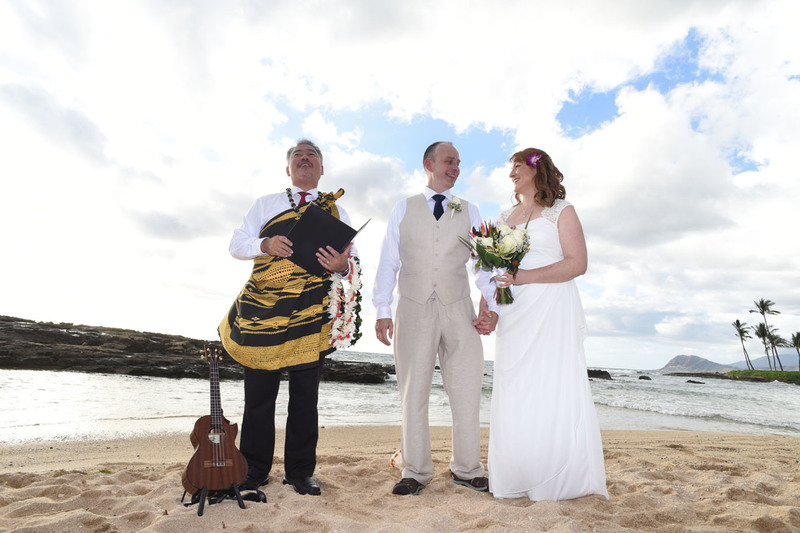 Rev John also plays Ukulele and have a wonderful singing voice. 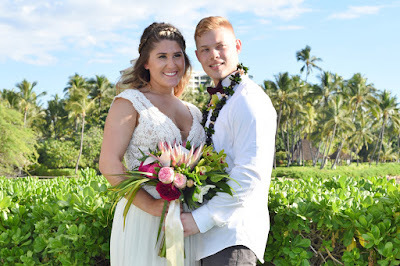 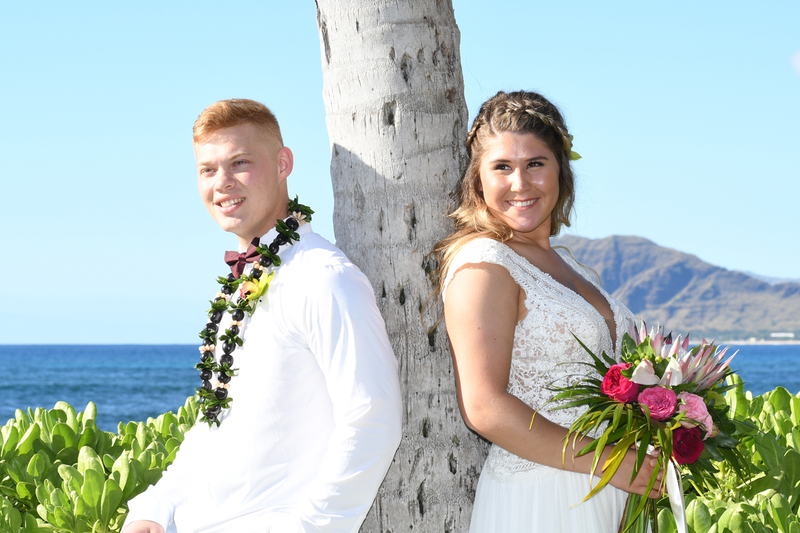 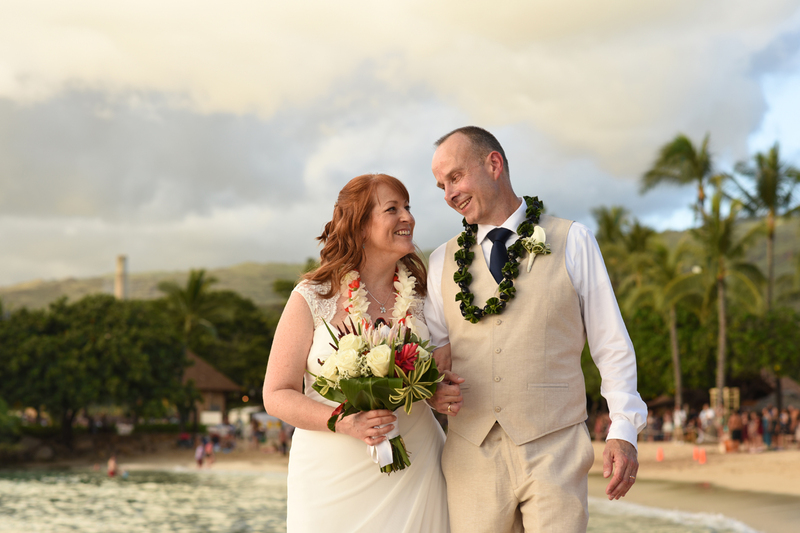 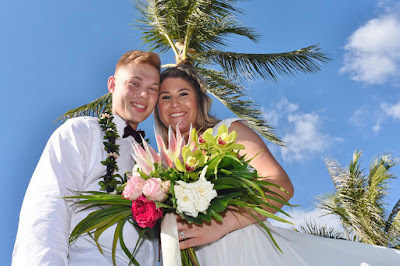 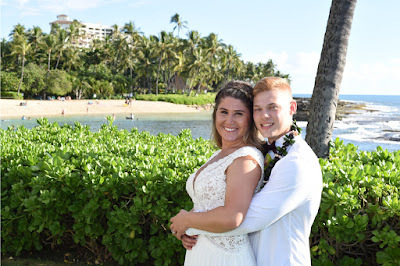 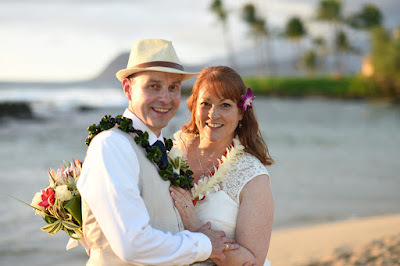 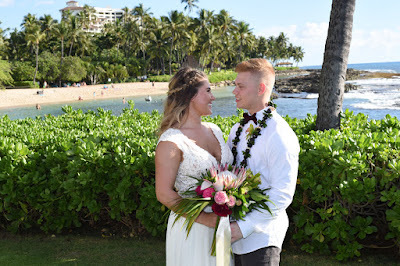 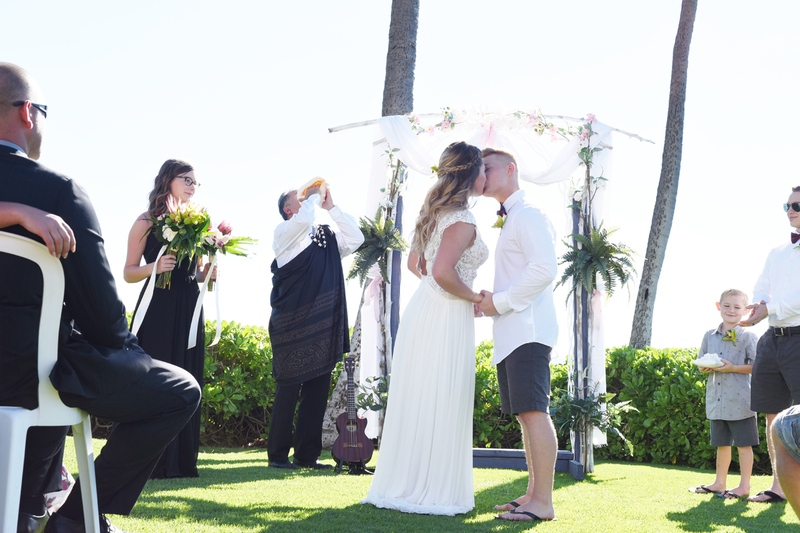 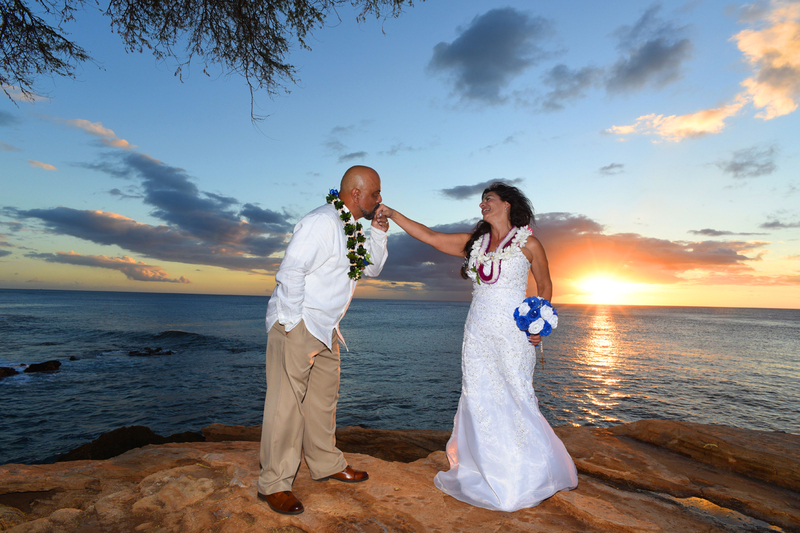 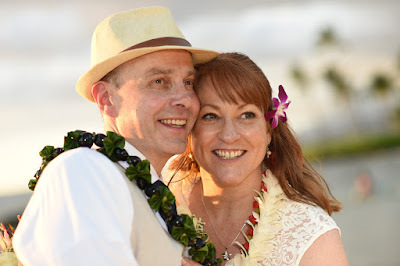 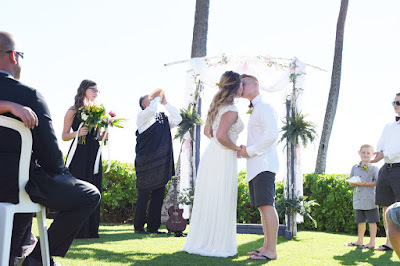 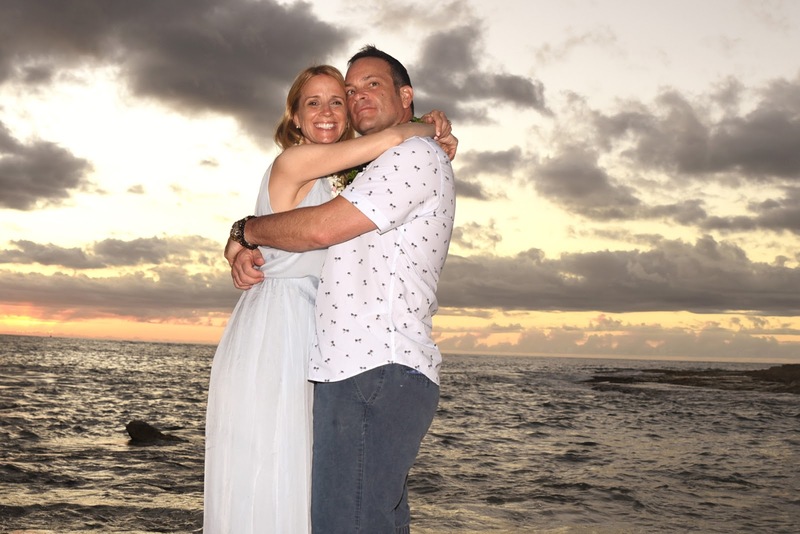 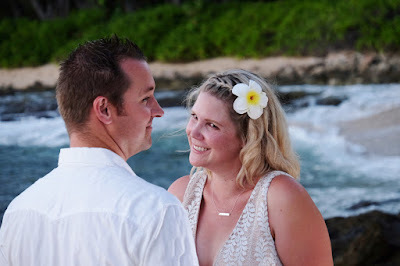 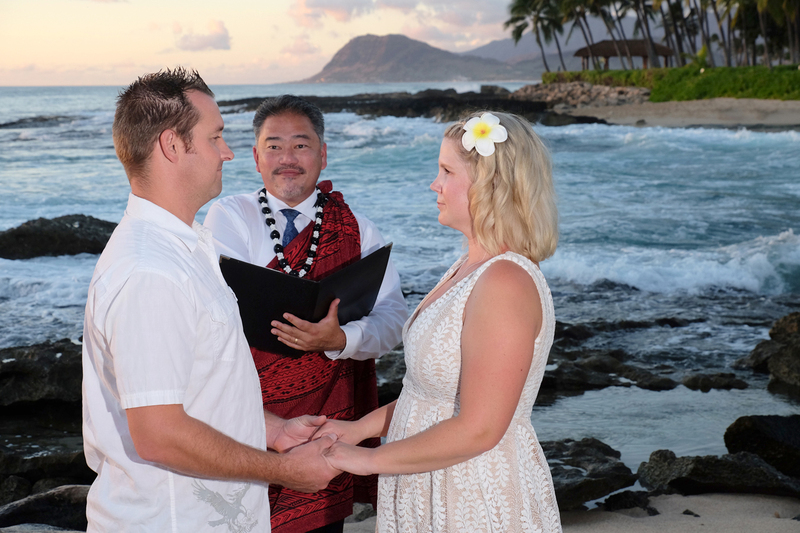 Gregory & Ann request a West Oahu wedding at Kahe Point on the Waianae Coast. 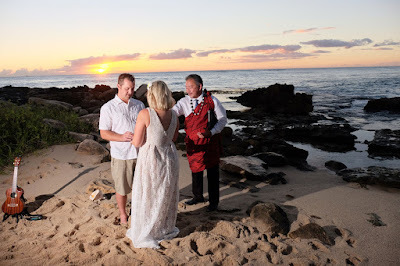 This is the only wedding I recall at this particular location, located just a short distance from Ko Olina. Spectacular sunset! 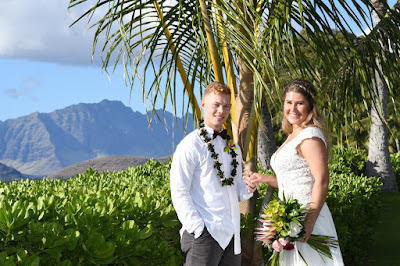 West Oahu is awesome! 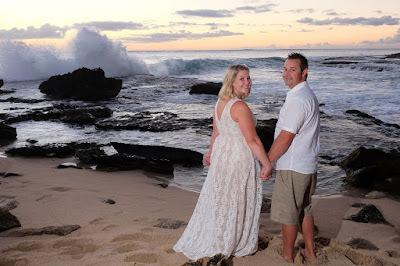 Lovely scene with a West Oahu sunset and huge waves pounding on the rugged lava rocks. 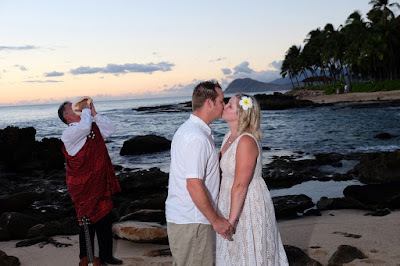 Makes for some splendid photography. Top of your wedding with a little fun in the ocean. 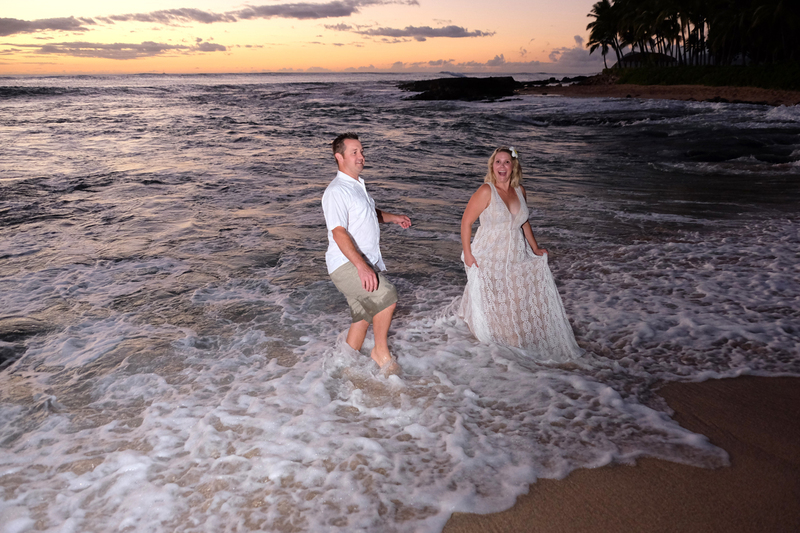 It's plenty warm so it's okay to get a little wet. 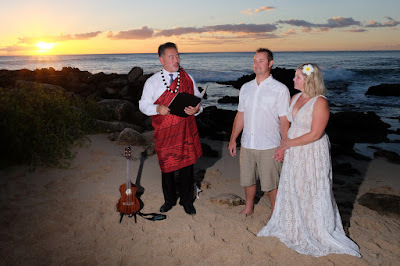 Pastor John officiates the wedding renewal ceremony and also plays Ukulele music like a pro. Ko Olina sunset wedding photography by Billy. 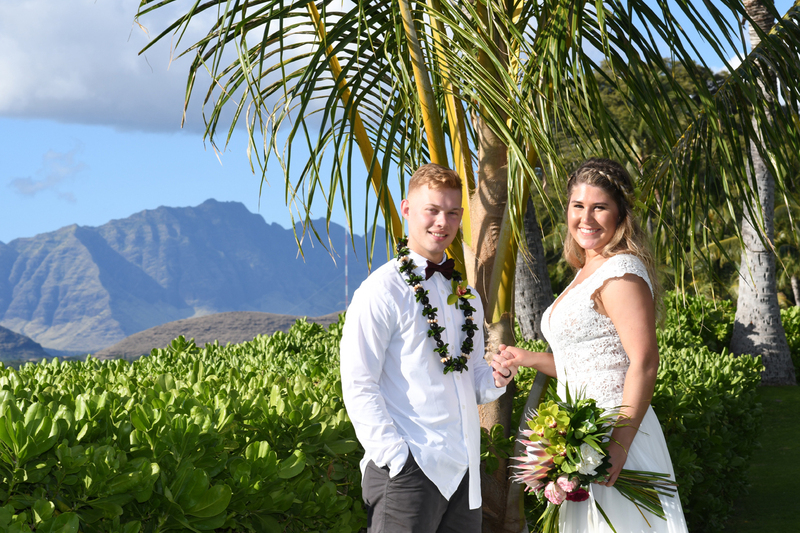 Congratulations to Kevin and Jennifer as they tie the knot in West Oahu. Ceremony and music by Rev John at Paradise Cove Beach, Ko Olina.